The secrets of New England have crept into the light, bringing unease and unrest to some of the region's sleepiest towns. These small communities have been corrupted by otherworldly horrors, manipulating weaker souls and poisoning others. You may never find yourself free of fighting these atrocities, though with few others willing to investigate the mysterious events cropping up all over Arkham, you also recognize that to stop would be to surrender to evil, and a world devoid of humanity is no world you care to witness. So when you get a phone call in the middle of the night, you only hesitate for a moment before you rise without question and stomp out into the black air. 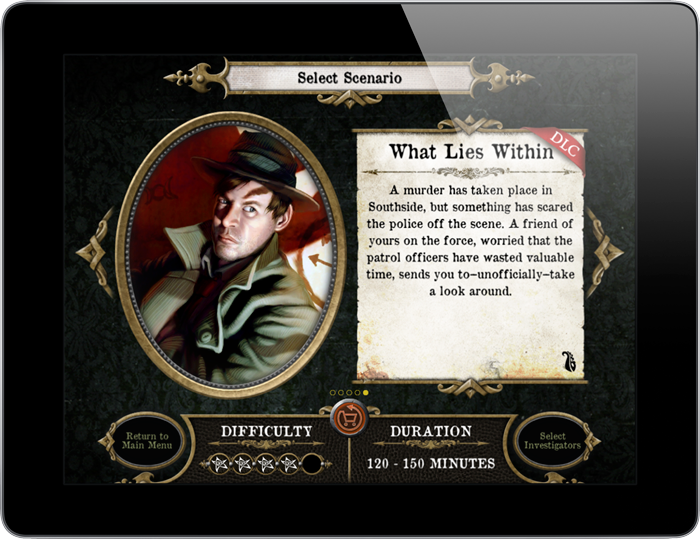 The first in-app purchase for Mansions of Madness Second Edition has been unleashed upon the world, and it is up to you to discover the truth behind Arkham's latest mystery. What Lies Within is a challenging and intense addition to your Mansions of Madness scenario collection. The pulse-pounding level four difficulty rating and tense two-hour duration will test even the most experienced investigators. If a murder so sinister that even the police won't investigate doesn't unsettle you, the bodiless voices, ominous apparitions, and unexplained activity about the mansion are sure to uproot any peace you've dared settle into. Expand your pool of mysteries with What Lies Within, available to download today for $4.99. What Lies Within begins with a midnight phone call from the local police concerning a murder in Southside. The officers who first investigated the murder have returned to the station with the body of a wealthy recluse, a murder weapon, and the refusal to investigate further. Your contact is quite perturbed about the whole situation and has asked you to do some poking around. Your observation of the arcane begins with your arrival at the home of the deceased, upon which the front door swings open before you've even had a chance to insert the key. A shiver runs up your spine as you enter the narrow foyer only to begin yet another investigation in a long string of distressing incidents, increasing in frequency with every passing day. A profound emptiness penetrates the home, breezing over the chalk outline, presumably drawn before the officers were spooked beyond recovery. Your overwhelming sense of isolation is abruptly dislodged when a cat rounds the corner, a key tied 'round its neck, and you hear a loud and unsettling sound from the supposedly vacant cellar. These are exactly the sorts of unforeseen events you've somehow come to expect, but there's something particularly troubling about this place. 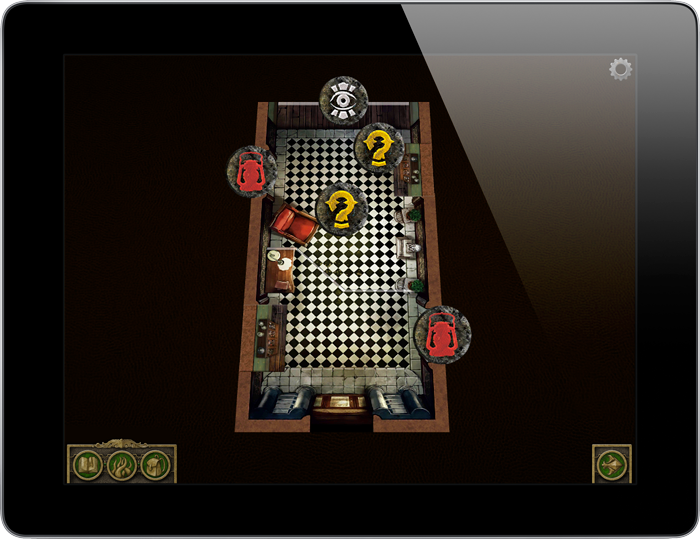 Each of the scenario's four maps will present different rooms and halls through which to chase your new feline friend. Besides catching or charming the cat, you will also have to identify the sounds coming from the basement, which will be more challenging than you might expect. The home of the recently deceased holds far more secrets than just those surrounding its previous occupant's murder. While you try to determine the man's cause of death and those responsible, you will also encounter spirits grasping for a body to cling to, and still a greater mystery which lays beyond more than one obstruction. With such an aura of uncertainty, you will have to struggle to keep your focus and take the investigation one step at a time. Not only will your starting tile differ from play to play, but there are also numerous paths to take in your exploration of the house. Four map variants, multiple endings, and a series of new, story-specific mythos events will keep you quite busy as you juggle the murder investigation, eerie happenings around the house, and a variety of encounters. How you interact with each element of the scenario will influence in which direction you can proceed and which ending you ultimately face. The extraordinary difficulty of the scenario on top of that will require deep concentration and careful calculation if you want to stifle yet another attempt to bring Arkham into the darkness. What Lies Within is available as an in-app purchase today. To download the new scenario, you must first ensure that your version of the Mansions of Madness is fully updated. When you open the current version of the app, navigate to the scenario selection screen and swipe through until you see What Lies Within. It will have a red DLC ribbon on the upper corner of the scenario description and a price in place of the "Select Investigators" button. Once you select the button and confirm your purchase, What Lies Within will be available to play just like any other Mansions of Madness Second Edition scenario! 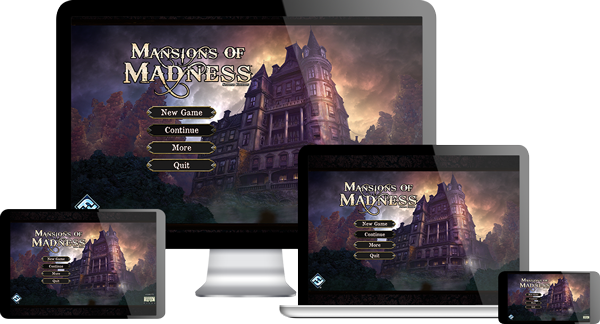 If you're new to Mansions of Madness and don't yet have the app, you can download it from the Apple App Store, Google Play, Amazon, and Steam. Mansions of Madness Second Edition is a fully cooperative, app-driven board game of horror and mystery for one to five players that takes place in the same universe as Eldritch Horror and Elder Sign. Solve intricate puzzles, fight vicious monsters, and maintain your sanity as you face each hair-raising scenario. A New Mansions of Madness Expansion Is Available Today!